This is another of our favorite meals, it has been so long since we started making this, I think it may have come from a Kraft magazine. This is also a very easy and quick dinner to prepare, and is great for when you have little ones who like to help in the kitchen. 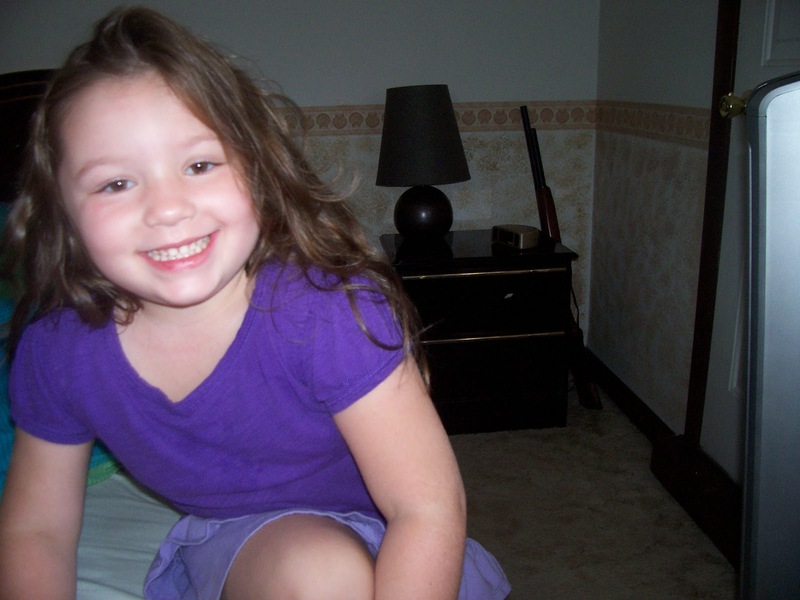 Genevive is 4, and she loves to cook and is actually a big helper with cooking, cleaning, and doing laundry! Her favorite part is to help add the ingredients and stir. This specific recipe, needs 8 large eggs, beaten. So, Genevive always likes to do the eggs part! She takes a Pyrex measuring cup and a fork, and mom breaks all the eggs for her, lol, and she stabs at the yolks and mushes them up with her fork. This also gives me time to cut the ham and gather the rest of the ingredients! Add the broccoli and stove top and stir until mixed. 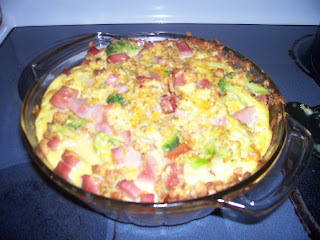 Add ham cubes, and some of the shredded cheddar and stir! Make sure the eggs are fully cooked! Top with remaining cheddar cheese and cook 5 minutes or until cheese is melted. 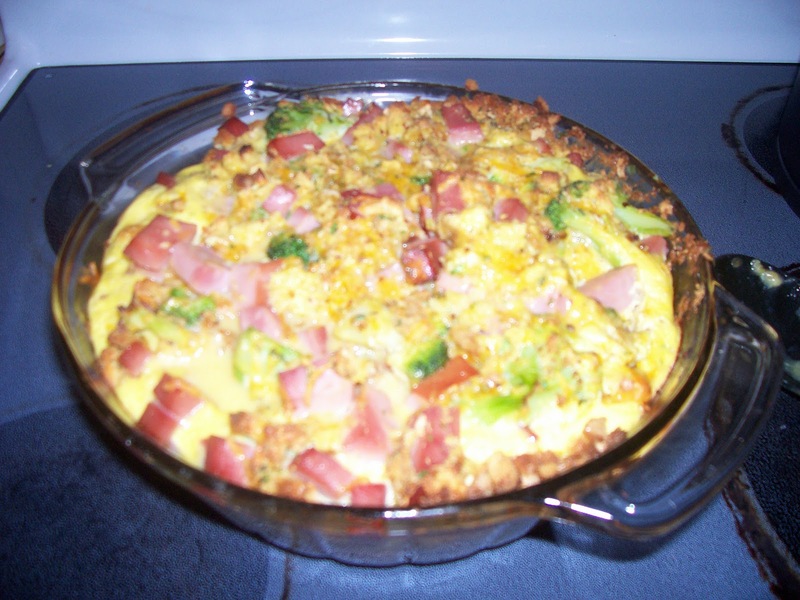 I am sure there are a lot of variations you could use in this recipe! We love this dish a lot and this is another that I can not expect to have leftovers from. It's also a fairly cheap dish to make, and allows for more time to spend time with the kids, or cut out some coupons, since it only takes a few minutes to prepare! Please leave comments or suggestions or share your variations you try!